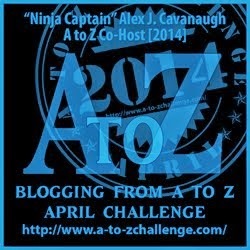 Alex J. Cavanaugh: The Amazing Spider-Man II Movie Review, A to Z Challenge Reflections, and Ninja News! Hi Alex - I can't believe how you keep up .. but it's great to have you organising much and supporting us all through the Challenge. It's the way of the A-Z with so many commenting, following when they remember and generally keeping going it's just an incredible opportunity. Thank you so much for all the effort you put into your posts - and the running around the blogosphere that you did as well. And I hope you get a least a tiny break to recover in. Thank you, Alex, for all the support and opportunities you give to us. You've been working on your challenge all along. I did wonder how you got those bites of info on people. Very well done, Alex. I really enjoyed your posts. As always, I was very much impressed with everyone's I visited, especially given how much stamina the challenge takes. Kudos to all! I still plan to see the movie but I know that this version never compares to Tobey. Glad you enjoyed A-Z this year and yeah it's loads of work. Congrats to all featured especially Tara with her new cover and book. The Challenge was challenging, but as in previous years a wonderful experience. Thanks to you and the fellow hosts and minions,who work so hard behind the scenes to make it such a success. I would also like to add a thank you for the mention during the challenge and am pleased you enjoyed my posts. Cap'n Ninja!! You A-Zers are totally super awesomesauce duper super!! My jaw always drops at this event cos it's so so so mega! And yet you all triumph! Especially you!! And for what it's worth you'd make a super duper Dad!!! Hah!! Wow, I can't believe someone shared a link to your boo to that site. Especially when you see just how BAD some of the covers are on it. Some peeps are jealous, which is a pity. Your covers rock! Well done on a great A-Z month! You deserve a break. Phew! A-Z was a lot of fun this year, I really enjoyed it! I probably may not be getting familiar with the books. But the A to Z Challenge was an experience. Enjoyed the crowd! Thanks Alex! A lot of work involved but as ever your posts were full of interesting info and facts. I enjoyed reading as many of them as I could. April was an amazing month. I truly don't see how you do it, ninja-skills and all. I'll tippy-toe over to the Lousy Covers site. *cross fingers* that something I love isn't there. That's sad about the challenge. I took part last year and I found that I met new bloggers and some of them I still check in with regularly. That's what I loved about it. I'm still thinking of joining next year. I really do want to see the new Spiderman movie even though it's sad. Alex, it was fun being one of your minions. I also found the month overwhelming, but I didn't really realize how much until it ended and I suddenly had breathing time again. Thanks for all you do for the blogging community. No sign of my books on that site--thank goodness! Thanks again for including me in the A-Z Challenge! I had no idea that was what you were up to with that post. I may do an A-Z Reflections post for Indie Writers Monthly, but I'm not sure yet when we'll schedule it. You did a fantastic job, Alex! 4-5 hours a post...wow. I could tell you put a lot of time into it. Love how you got the information on the different bloggers! Spiderman is traditionally a darker comic book, I'm thinking...bullied teen, right? (Might be getting my superheros mixed up, though.) Yes, not so sure I could handle something dark right now--would rather see something campy. Didn't care for the first Spidy. Prob won't bother with the 2nd if it wasn't as good. Spidy is no Super Man IMO. Happy Monday, & rest up a bit!! Loved your theme this year. And connecting with people, to me, is more important than new people who follow but you never see again. I have read a lot of mixed reviews on Spider Man II. I think I am still gonna catch it in the theater sometime in the next couple of weeks. I agree, TASM 2 wasn't as good as the first film. I enjoyed it quite a lot, though... well, apart from the grim ending. Kind of hanging my head, now, about Spiderman. I think I'll still watch it, but way make films so long, adding filer when not needed? A to Z: Loved your posts. They were concise and shared some awesome info. I learned stuff....lol. I loved the first 3 Spider Man Movies, have yet to see the new ones. I agree with your statement about the A to Z Challenge. I visited many new sites to comment and Follow, but didn't get many follow backs. Well organised as ever Alex. I signed the linky list before I have written my post.......that's me. Okay, I'm officially tired now just reading what all you did during the challenge. Amazing, as was your posts. I enjoyed the look back at all the years and even though it made me feel a bit old at times it was still fun. Even though I didn't participate I discovered a number of new sites to visit when I can. Congrats to everyone! I think I'll skip Spider-Man since it's dark and sad. Hilary, I gave it my best effort. Elephant, I wrote this weekend and next weekend, I'm taking off! Carolyn, your story was awesome! Kitty, thanks - that really made me laugh!! Shah, my cover is not there - I just happened upon the site. Clarissa! Good to hear from you. Rhonda, thanks, and that's how I felt. Sandra, I'm sneaky that way. Elizabeth, I wanted to do my posts right. I think he was bullied in the comics, not so much in this series though. George, that ending was killer. Wow! You spent a lot of time on A-Z. I really liked your theme. I'm older than you so remember all those years. Sorry I couldn't visit every day. Nice covers. I particularly like Tara's. Makes me wonder what's the little guy's story. As always, the A-Z team did an awesome job. I figured that your posts would have taken some time to put together. It was fun seeing what was happening when. As always, I am baffled at the amount of commenting you do! You amaze me with your energy and diligence. Seeing your comments are always uplifting and encouraging Alex. Thanks so much for all that you do!! Although I am still catching up on my reading and commenting I enjoyed your retro posts this year! Most of them were reality checks as I thought that movie is that old? or that song came out when? Another great A-Z year! I hate how they feel they have to go dark and dreary with Spider Man, he was never dark and dreary, had the stories but it was always fun. Have to mimic the Dark knight though, ugg. I haven't seen the Spiderman movie yet. I really liked Toby playing him... the new guy, eh, not as much. That book cover is SWEET! I love it. I'd pick it up in a store to read the back if I saw it. Retro was a cool theme idea. 4-5 hours per post? Wow. I'm so glad I caught almost all of them during the Challenge. And yes, it was funny to read some of the comments and see how young many of our fellow bloggers are. The scary thing is...the average age of bloggers has increased a lot the last few years. Great job with managing everything. Glad you survived the month. Yes, I totally enjoyed your theme! As always you are so giving, featuring your blogger buddies. I enjoyed the challenge this year, but could barely keep up! I was thankful to complete the challenge and hope everyone enjoyed the intros. I didn't want to disappoint anyone this year. I would've liked to have met more new friends, but I just didn't have as much time to visit new bloggers. All but a handful, BUT they have become friends... So even meeting just a few new friends, made it worth the time and effort. Congrats to TARA and RIVER!!!!! Such cool covers. All the best to them! I bet all of you who participated are plum exhausted! Way to go for participating in another challenge. Knowing you, I'm sure you did everything within your blogging power to visit as many folk as possible. Looking forward to IWSG post day! Tara, the cover to BBF is amazing!! Hopefully, I'll go watch The Amazing Spider-Man II this weekend. Wow, Alex, you do too much! I have no interest in the Spiderman film, I have heard nothing but, negative reports. Thank you for the site on bad covers, those are awesome... I think I need to advertise my design/art to a bunch over there. Last thank you for the kind reflection and you have been the king ninja for many years and we all hope for many more. I had a great time, but like you wish I could have visited more blogs. I have no doubt you visited many more than I did though. It was all I could do to visit just my blogger buddies and those who visited me who I hadn't met before. Alex, I really don't think you are fully human. You are amazing. And dedicated. And loyal. And creative. Industrious. I could go on and on. Your theme this year was so interesting, the way you incorporated your blogging buddies lives (including mine, thank you so much) into the retro theme. Great job! Natalie, you were here often and I appreciate that. Trisha, giving people a variety is exactly what I wanted to do. Something for everyone. I was an accidental blogger this year at Sia McKye's Over Coffee. Never having blogged before, it was a bit mind-boggling, but I had fun and tried to comment where I could and keep up with things. Such a wonderful diverse group of folks! Thank you for all you did to co-host this, and for commenting on Sia's blog! I don't feel like seeing the new spiderman series as i love the first ones with Tobey McGuire. It's also that it is still fresh. The films with Tobey were not done 40 yrs ago so why so soon to do sequels. I am also concerned that these big movies are going more towards 3D effects than quality as in acting and writing(especially writing). Ok my take:) Loved doing the A to Z and I kept laughing at the years you picked cos it seemed like I had horrible years-lol. Loved how much you put into everything. It was fun to do and meet new bloggers. This Wed I will not forget to write! 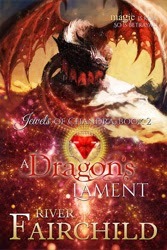 At first I thought A Dragon's Lament was referring to Al Diaz! Grats to River and Tara! After reading about all you do, I'm exhausted. :) Seriously, thanks for a great time. Too many sites to visit them all, but I went to a lot. And there's more new books to read and movies to watch. Life is exciting. Have a nice week. I saw the first Amazing Spider man and wasn't a big fan. I didn't like the actor and did't think he captured the character of Peter Parker the way Toby McGuire did. All I can say is that you're a machine, Mr. Cavanaugh! :) Loved your theme and was thinking the same about how young some of these people are. On many of my posts (Old T.V. Shows), I would get..."I've never seen this, but my parents loved it!" I have my suspicions that you are a super hero in hiding. Your theme was very complicated. I can see where you would have to do a lot research and writing WAY before April. The two book covers are gorgeous. You really put a lot of effort into your posts and it showed. I wondered how you got all the info for your posts - what a brilliant idea to do the "best year" post. Your posts were all wonderful as always. I had a harder time keeping up this year than I have in the past but it was definitely worth it. Now I understand more. Not just the clones and the multiple high speed computers with super speed internet, but also you don't have to sleep. Gotta have my 5 hours of sleep each night. Alex, I continue to be amazed at how you create such complicated and informative posts for the Challenge and otherwise. Thank you for co-hosting the Challenge and for visiting my blog each day! I had a ton of fun reading your retro posts. Very cool that you spent so much time highlighting blogger buddies, too. Awesome. Sorry you didn't meet more new friends, though. The amount of time and care you put not just into your posts but into your commenting is inspiring. If you're going to do something, do it right, and you're a great example of that. Cheers to a great A-Z challenge! And absolutely agreed with movies being too long lately. Even Anchorman 2 was just over 2 hours long. You're really telling me you can't tell a story like that in under 2 hours? Tara's book cover looks awesome! I have no idea how you manage to visit so many bloggers every day. It must make you want to pull your hair out, trying to keep up! I agree, it is disappointing when people don't comment or follow back. Those people won't end up being part of this great blog community! First of all, congrats to all of the authors who have launches! This year I did A to Z with my Untethered Realms group, which made it quite do-able, because I only had to write a few posts. I was super-busy in April because I teach as well as write and I was reading student research papers. but NOW... I'm off for the summer, and I'm really looking forward to more writing time!!!!!! Good to know that Spiderman 2 is a rental instead of a Must-See in the theatre. And I admire the work you put into the A to Z. I enjoyed your theme very much this year. And I found some wonderful new blog friends through you. Thanks!!! I enjoyed catching as many as I could on the A-Z. Loved your Retro theme. Not just because you caught me off guard with your email earlier, but like usual you took the time to invest in others. As far as the Spider-Man movie I plan to put a review up on my blog latter in the week after IWSG Wednesday. Spoiler I didn't care a lot for it. I thought one of the Batman movies was way too sad, and I still haven't forgiven them for it (when Batman took the blame). You had a great theme. We could tell that you put in hours of your time to create each post. You are amazing at making, and keeping, connections. I know mine was different this year having switched from blogger to a wordpress website and using the Dine off the Page category. I had a few glitches, but enjoyed the challenge very much. It motivates me to write daily and make connections on and off line! You certainly put a lot of work into your posts! I enjoyed my first A to Z Challenge. I'm just hoping to be more organized next year. Yes, my son loves Spider-Man! you put so much thought and effort into everything you do! and its appreciated morevthan can be expressed! thanks so much for being part of my cover reveal and congrats to river too, awesome!! I'm glad you had another brilliant A-Z year - I caught a few of your posts, and I'm always overwhelmed with the amount of effort and thought you put into each one! Kat, you did an amazing job!!! Birgit, it was a bit soon for a reboot. Loni, I am on the East Coast and I do get up really early in the morning. Charles, this weekend I caught the original trilogy and I actually liked Garfield better than McGuire. Lee, I do like my sleep! Brandon and Bryan, thanks! And completely agree. Some stories don't need to be that long. Ilima, I did like it, just didn't love it. Cathrine, you and me both! David, was happy to feature you! And I was a bit disappointed with this one. Mary, and sorry I didn't get over there very often. I kept forgetting you were using a different blog. Still need to see Spider-Man, and I already know what the sad part is. I just hope it's done well. I am not sure I will see Spiderman. I may be less "dark", and more "splatter-elf", which is the style of Philip J. Overby, my newly discovered blogging buddy. It is a little lighter as you can probably imagine. Philip is awesome. I loved visiting you every day. You are a wonderful person and a great inspiration to so many people it is terrific! Thank you for all you do!!! Yes, that is correct, you just got THREE EXCLAMATION POINTS! Still, I'll see the movie eventually. Congrats to everyone with new books coming out! I didn't go and see Amazing Spiderman 2 this weekend. Rather, I watched a dog and was house sitting. But based on your review, I think I'll skip. I don't want to see a dark and sad comic book movie. I think I better check out that link about the bad covers. I hope mine isn't on there but I've also learned that book cover-love is just as, if not more, subjective than the joy found or not found in the book's content. I haven't seen the Spiderman movie. Like most movies I want to see, it may have to wait until I can enjoy it at home. Your A to Z challenge posts often had me thinking back and reminiscing. I may have done more walking down memory lane than commenting, but I really enjoyed your posts. I didn't enjoy the 'new' Spider-man nearly as much as Raimi's trilogy, and I wasn't at all impressed with the casting on this one. I assume, from your spoiler, that they haven't taken any liberties with the Gwen Stacy storyline, which means I may have to watch it at some point. The movie stayed true to the comics -- which means I will probably not watch the 3rd. The chemistry will be gone for me. And along with everything, you are Writing a New Novel! How do you find the time? I loved your theme this year. I didn't comment much, but (believe it or not) I skimmed all 26 posts. Ever since I started following you three years ago I've always been amazed and impressed with the work you put into your blog. You inspire me. I planned my challenge out this year like I never have before and you were partly responsible for the energy I found to do it. You and Hilary from Positive Letters! I found you both the first year I did this and neither one of you have ever let me down. I didn't respond as much as I wanted to in the beginning this year, but managed to do so later on...I thought visiting my "commenter's" blogs, reading their posts and leaving comments was a good use of the time and perhaps would be appreciated more. Thanks SO much for all that you do, and I'm really looking forward to Wednesday!!! While Spidy's one of my favorite, I haven't seen this one yet. Did do my Reflection post, though. David, that part is done well. Angela, glad you enjoyed them, and I doubt your covers are there. Bob, the ending happens in the comics, so you probably already know why it was really sad. Roland, I just make time. Lisa, thank you! I appreciate that. I don't feel qualified to say because I was one of 6. But I have to ask, Do you see a time when you can't keep up with all your commenters. Judging by comments, everyone is aghast over how you do it. Movie stars hire people to read their fan mail for a reason. It was always disappointing or frustrating to click on what seemed like an interesting blog title and find that person had never started the Challenge, or gave up long before the end. I also found a few blogs on the list that were just advertising a business or service, and therefore only there to try to get customers. I was hoping my new names blog would get more followers or traffic, but that wasn't to be. Even with those posts being super-short, some of them didn't get any comments at all, after all the work I put into creating them. I'm so glad I decided to do the challenge! I've made some great blogger friends:) Next year I'll be ready ahead of time. I enjoyed all of your "retro" posts. I love reminiscing about the past--most of it! I'm glad Spider Man was okay, I really love Andrew Garfield. This year's challenge was definitely a challenge, but a great. I had fun and though I'm exhausted now, it was wonderful. I enjoyed your A to Z theme. I remembered those years. I too am amazed at the time you put into your posts and all the commenting you do. I know it means a lot to a whole lot if people. Me included. I admit I find the A to Z more fun from the sidelines ( I followed several people daily, but I don't participate). Once was enough for me. My hat is off, to all if you who do it, and do it so well. I'll have to scan your posts; I know you'll get comments anyway so I focused on blogs I didn't know for the month. Here's my A to Z wrap-up post. I also have an End of Challenge book giveaway going on for either contemporary romance or contemporary YA. I am amazed at what you accomplish! And I appreciate all the time and effort you put into your blogs. I was able to read a number of the A to Z Challenge posts, but I didn't even scratch the surface given that you had over two thousand participants this year! Holy Toledo! 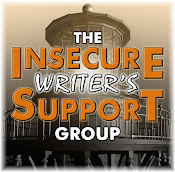 I really enjoyed the IWSG's A to Z posts, because of their topics and information! I easily believe that you put four to five hours a post in. One thing I have discovered about blogging is the amount of time the posts take. I am always aware of how much thought and heart people put into their posts. I am so glad that my dear friend Ms. Sophie Doodle pushed me into blogging. Because of SD, I've discovered so many new and fascinating people all over the world. I'm doing the final read throughs of my post for Wednesday. I hope you catch a little much-deserved rest! Shame about Spidey, I guess it tough being a superhero. The A to Z co-hosts were awesome, three beamed over to say hi. I returned the hails, all in all its been an awesome blogfest. Your posts were great and you were so sneaky! I really didn't pay attention to my stats but I know I gained a few blog followers and Twitter followers so that's good. Thank you for all your encouragement and support for the Challenge and for being a co-host. Sometimes I want to say, "Why didn't I take the blue pill?" but it's been worth it. And interesting A-to-Z summary -- I enjoyed reading it. I purposely avoided A-to-Z this year. It's been a crazy season of my life and I barely have time to even put up a blog post every week or two. I miss getting to visit other bloggers, and while I love the idea of AtoZ, I knew there was no way I could have made it. But a huge "Way to Go!!!" to everyone who completed the A-to-Z challenge! For an 802 year old dragon, you're just a baby. You can take solace in the idea I could be your great great great great great great great grand father. It's all matter of perspective, my friend. You devote so much time to your Challenge posts, it's amazing. For some reason I can't remember the post you mention about asking people what year was special to them. It was nice for you to feature me for a second year, but what truly made my jaw drop was your words. For a dragon of few friends and even fewer close friends, it meant a lot. Thanks for the trust and the friendship. I hold my hand up as one of the guilty ones who didn't reply much to those who were good enough to comment on my posts. As the month went on, I kept up with my own posts but found the number of A-Z posts pouring into my feeder became a little overwhelming. It's wonderful that so many bloggers take part but it takes so much to keep up with them all! I don't know how you do it! Alex- thanks so much for your always nice comments not just this past month, but through all this past year! Much appreciated!!! Also- FYI "bunny ears" are a must in our family pics! Big hugs and have a great week! Carrie-Anne, we tried to clean the list as fast as possible. And sorry your other blog didn't see a lot of action. Jennifer, glad you had a good time. And go, you'll probably enjoy it. Fundy, and we are glad you are here! Good to know you enjoyed the IWSG posts. Heather, you know it was worth it! Chris, the 3D was really used. Really used. Al my friend, you are most welcome. Thanks for all you did. Thanks for all the time you put into your posts. They were really entertaining, and yes, I, too, am old. I just got older reading "I wasn't born yet" comments...sigh. Kudos to all on an incredible A-Z Challenge. Great work, Alex. Hi Alex! How could anyone not respond to you? You're like the nicest coolest guy ever, and you do so much for everyone! I didn't get too many new followers either, but that's ok. The ones I have are great and just so supportive. I love how you featured a new blogger every day, that was so great and I met some cool new people thanks to that. As far as Spiderman goes, I kinda felt like it was a rental, so I'll definitely wait for it to go on Amazon Instant Video now! Age - a topic which will never come out of fashion. We are nearly of the same age. In July I turn 55. When I was young, I did not want to believe that perception of time change the older one gets. But it is true. Nevertheless there are days when I feel like 20 and there are days when I feel like 120. The good thing is that in a lot of areas it does not really matter if you are 20 or 80. The book blogger community is a good example for that. I made the same experience in the steampunk community. Every age has its advantages and disadvantages. In the end it does not matter how old you are - be open-minded and enjoy life, it is too short to waste it. Not a big fan of the webbed git especially since Tobey Maguire! Perfect reflection! You guys did an amazing job with the challenge, I'm glad I was part of it. And your Retro-Blogger Buddy Feature was cool as was your whole challenge. Amazing Spider-Man 2 was very disappointing and very dark with THAT SCENE but it was from the comic. I've heard mixed reviews from the A-Z Challenge, but I'm glad you had fun! That's what counts. I enjoyed your retro theme...but I did feel old! And, I realized there were gaps where I was so busy (the 90's) where I had no idea what was going on outside my own little world...or I've forgotten. That could be it too. I met a few nice bloggers I have followed through your recommendations. Thanks! I've never been a fan of the multiple supervillain thing spiderman and batman seem to be unable to resist. Just makes it very messy. I didn't think the movie was too long. The bullet-time stuff wasn't really bullet-time stuff; it was showing Parker's spider-sense at work. I thought that aspect was really cool. 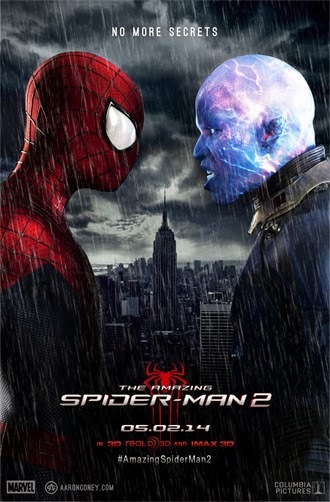 The scene where Electro is trying to kill everyone and Spidey "sees" where all the danger is and prevents it was superb. Sorry I didn't get here earlier. Running behind all day and I don't have nearly the visitors etc. that you do. By the way, my cloning machine hasn't arrived. I want to clone Jezebel's punch. I gave you a big vote of 11. Yikes! Some of those covers are pretty unfortunate! I haven't seen the first Spiderman. I still can't get over the fact that they're already remaking these movies. Thanks again for featuring me! Gained a lot of new followers, all of whom are awesome (much like yourself)! For what it's worth, I enjoyed all your A to Z posts on all fronts. I couldn't believe how long ago certain movies came out, because I was NOT a baby during those years and yet they seemed LONG ago. All the facts, the music, the blog buddies, you name it. You did a great job of it. Thank you for making the time to comment on my blog often. I can't imagine how crazy busy you must have been, but appreciate that you made everyone feel important and special. Cool gift you have there. Kathe, I enjoy your pictures and poems. Edi, five years behind you my friend. And I do enjoy my age now. My life is better and I am in better shape than thirty years ago. Fran, Garfield does him better. SK, just go. You might really enjoy it. Nancy!! Good to hear from you. New book???? Moody, surprisingly, that wasn't the problem. Andrew, it was cool, but every review says it's too long, and it was. Samantha! Good to hear from you. You are most welcome. I'd say you went pretty much all out for A-Z this year. I'm not a Spiderman fan, so I won't be seeing it. I participated in 2012, so I knew what I was getting into. I had all my posts written and ready by the last week of March. I expected a lot of participation. My theme was YA books and most days, I had giveaways. All anyone had to do is comment. I wasn't looking for followers. I'd learned from 2012 that most people only commented AFTER you commented on theirs. This year, I started following a few people from the theme reveal day. Other than those people, I maybe had 10 new people visit my blog during the whole month of April, and that includes all the people whose blogs I commented on daily. There have been so many incarnations of Spider-Man that if you don't like one, it's easy to find one you do. I'm glad that this series isn't going the cheeky, too-comic route of the last trilogy (which was what? a decade ago? ), but I'm still not sure I'll go see it. Maybe when it's out for rental. Whew, the Challenge is over. I can see why we're called survivors. My real life sister is a newish blogger and she's totally impressed with what you accomplish in each blog post! I don't think she quite believed the mythos of your ninjaness until she saw it for herself. I still haven't seen the first Spiderman movie. Not really interested though. The trilogy before that I enjoyed and it seemed weird having it rebooted so soon. I am curious as to if they killed Gwen. You're spoiler warning made me think so. I enjoyed your theme for the challenge. It was a fun look back, even if there were a few things I hadn't heard of. My human brother, Tristan, is going to see, The Amazing Spider Man Two, movie. I shall see what he makes of it. IWSG okay and check that out. Here's to River Fairchild at her new book. Reflection Pawst? Already done that. Your alternative challenge to The Alphabark Challenge, was a success. Appreciated your altruistic, thoughtful approach. I now reckon with all those reflection pawsts, it will take you guys right up to April Fool's Day, 2015. Then you can start all over again. HELP!!!! Penny the cordial host of the Alphabark Challenge, 2014! Alex, you're one amazing blogger, I really don't know how you fit it all in a day-- you visited me every single day!! Wow, Alex! I'm in awe of everything you do! I LOVED your theme even though I didn't participate. Thanks for including me and hubs for 1998 :-) You are truly the B*E*S*T!! Thanks for the review of the movie. I guess I'll wait till it comes out on satellite TV. Weird about long movies, huh? I saw Lone Ranger on TV yesterday. There were so many flaws, but the biggest one was it was 2 and a half hours -- of BOREDOM! Ack! Congrats to Tara and River!! I enjoyed reading your reflection. Thanks to all your hardworking minions. Good lord! 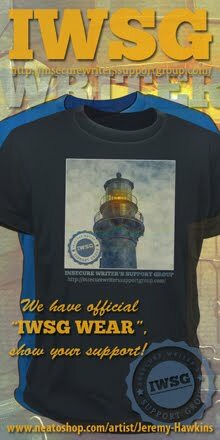 The IWSG is this Wed. Ack!! I've done the challenge both ways, having every thing pretty much done early and I've done it where I'm working week by week. A lot depends upon themes I chose. I think it's easier when I plan it out in advance. Haven't seen Spiderman. I've seen the previous ones. Prolly wait for this to come to CD. I remember when I first started blogging last year, I got really excited when Mark "Sir Baldernot" Koopmans :) posted a comment on what was then my 'baby blog'. I was stoked because here's an award winning memoir writer, journalist with awards and he's commenting on my little blog. Of course, I went back and commented about how honored I was that he did that for me. Then he gets all embarrassed and stuff, (because Mark doesn't handle compliments too well) and decides to do a post about it. You know how he rolls, Ninja Captain. At some point in our communication, he writes to me: "If you really want to be in awe of someone, follow Alex J. Cavanaugh." And sure enough, that's when I found your blog and found out all the wonderful things you've done and still do for writers and bloggers. It was the first time since Stephen King that I found myself 'author-struck'. Just please don't tell Mark. I don't want to hurt his feelings... :D After that, I signed up for IWSG and your posts by email. There isn't a doubt in my mind that you put hours of work into each post you publish and equal amounts of time commenting of others blogs. You did, as usual, an amazing job with the A-Z Challenge this year. 1987 was my favorite - only because that was the year my daughter was born. I enjoyed your retro theme for the A to Z it was fun to read. I am always looking for new and interesting books to read. I saw spidey this weekend. In 2d! Apparently, 'in 3d' is part is the title, not a description of the theater's display. I was pissed, as I'd heard the 3d was very good. Anyway - good movie. Glad the challenge is over though. Even if I still haven't done a Z post. I really enjoyed your Challenge theme but you make me laugh about feeling old. You make me feel old, LOL. I wasn't going to see Spider Man but I'll probably rent it on your recommend. I didn't participate in the Challenge, but I'm still in awe of you and your generosity in this area and so many others. This is yet another reason why you have so many devoted fans! It's too bad about the Spiderman movie. Pacing is so important in any storytelling, and for a few years now Hollywood seems to want to drag out movies and especially action sequences and climaxes until I just want the scenes to end already! How ironic that for all the big bucks and special effects, the scenes between Peter and Gwen have the most resonance. I always enjoy the A to Z! You had a great theme too! Now to get ready for the monthly IWSG post. Thank you so much for being the co-host for such an amazing platform of sharing and learning as a writer! You guys rocked the challenge! I can't imagine how all of you kept up, especially the hosts. More power to you. it's tempting for next year, though. And I'm with you. Why are they making movies so long now? It's ridiculous. I loved your theme. I experienced so many great flashbacks reading them. I gained some followers, but it might have been both A to Z and a giveaway I was holding that brought people over. Jennifer, sorry there wasn't much interaction. Nicki, tell her thank you! Gary, it does seem never ending, doesn't it? Damy, thanks, but I am just as in awe of you. Jamie, thanks and you are welcome! Lexa, I warned you the Lone Ranger was boring. Sia, always easier to plan in advance. Lilica, thank you. I'm honored and embarrassed. Mark is the man. Rusty, they really used the 3D in the film. Sorry you missed it. Nigel, it wasn't my favorite. LG, thanks for being an awesome Minion. Vin, glad you found the Challenge. Mark, come to! I need you Wednesday. Broken Branch Falls has one of the best covers I've seen in a long time. It just rocks. As much as I want to rant about something I agree with you on about blogging etiquette - returning comments - I won't. It's not worth it. Some people just may not "get it." And, that's okay. Live and let live. Although, I suppose I did just comment about it, didn't I? Dangit! I hadn't seen Tara's cover yet! It looks great! I didn't know about Tara Tyler's upcoming release. A stunning cover. 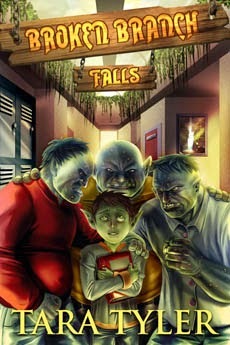 Hi Alex, I would hate to see my book cover on the Lousy Book Covers Page. Loved your A- Z theme. I want to see Spiderman next week. I'm just amazed at how much time you put into the A to Z Challenge! No wonder it was basically your life for the month of April! I saw someone else's VERY negative review of The Amazing Spiderman 2 on Facebook, and I was so disappointed. Glad to hear your reaction wasn't quite as negative! I still look forward to watching it soon, even if it wasn't as good as the first. I appreciate the work you put into this challenge so much, and we can all see the work you do. It's amazing you had time to sleep an hour, let alone visit and leave comments. I will probably be watching the Spiderman movie soon, because my grandson would be disappointed otherwise. Sad to hear all the feedback on the new Spiderman movie. From friends, family, and fellow bloggers, there hasn't been many positive things said thus far. I'm off to see it this weekend. I'm not a fan of long movies. Having short legs, sitting in a theater for up to three hours is NOT a fun experience, but some movies are worth it. As for the A to Z Challenge, I really had fun, and met some new fellow bloggers to follow and be followed by. I could have commented more on more blogs, but I am now, finally getting around to some of those I skipped over in April. As for your Spidey comments, I too was not overwhelmed by the new film. I liked their portrayal of Electro (though I did miss the big electric bolts on his mask) and did like the Gwen/Peter connection. Gotta say though, I hated the way Rhino looked, and was disappointed there was not as much Green Goblin as there should have been, especially since he was such an important part of the storyline (and the finale) from the comic from which this film is based. Elsie, that made me chuckle. Rachel, you'll be prepared now. Debi, I do like my sleep. Anna, you might still enjoy it. I think this is my fourth year of challenge from A to Z, if I made a new friend. Alex, thanks to you and the other co-hosts for an awesome challenge this year!! April seemed to FLY by! I thought your retro theme was fun - loved the classic songs and movies. I wasn't very into the first Amazing Spider-Man, but I'm still bummed to read so many enthusiasts disappointed in the second. It'd be good if we all got what we enjoyed most. I'll be skipping it. The only movie left I'm sure I'll hit theatres for this year is Godzilla. Chrys, no - that's smart. John, I already have my IMAX tickets for that one. I'm so so so impressed how you keep up with it all! So amazing! I'll have to have a closer look at the A to Z Challenge since it's the first time I'm hearing about it. I don't know if I'll watch Amazing Spider-Man 2. I wasn't all that impressed with the first one. I don't think I want to see a dark, sad movie. After three or four years of A-Z, I'm ready to opt out next year. It's not posting that's a problem, it's visiting the blogs back. I loved your retro theme Alex, and I'm sorry that I missed your posts while I was away. I'm also amazed at all you do, and you have more energy than all of us put together! A good post can take a lot longer than you think it will. I thought your posts were great, Alex, and I really enjoyed reading them. I want to give some thought to next year's challenge so that I can really do it up right--like you! Beate, hope you can join us next year. EE, I appreciate every comment! Julie, as long as you saw yours. I wasn't particularly impressed with the first reboot Spider-Man movie. I love the original Spider-Man movie SO much! I probably won't bother seeing this one. Yay. I'm going to see Spiderman for Mother's Day. I will probably cry. I'm a big sad movie crier. Jack Frost depressed me for a week. Still hate to watch that movie. I need to read Arlee's posts. I have so much I want to do. And yes, I hope I never end up on that sight! I probably will wait to see Spiderman. Why do they keep making movies so dark...and long? Makes me a sad panda. I loved your A-Z theme this year. It's awesome looking back. Bowled over by the amount of work you put into your posts. You must have had a dedicated clone team for that! Congrats on a great Challenge! I really enjoyed your retro theme, but good grief did you posts make me feel old. I'd be like, "Oh, yeah, that movie came out like two years ago" - NOPE, guess again, that was 14 years ago. Yikes! I've seen Tara and River's book covers around the blogosphere. Tara's is freaky cool, and River's is freakin' gorgeous. Ah...the final stretch of the manuscript. Yay!! And thanks so much for including my book release. I can't get over the fact that I visit your site while having my MORNING coffee and 173 visitors have already commented. You know Alex I understand exactly what you mean. I've visit and comment on some folks blogs repeatedly and they don't seem to reciprocate sometimes. So now I just focus on my favorite bloggers and people I can interact with. IMO, the whole point of blogging is interaction. I know some people don't really care about interacting with others, but that's what I really enjoy! Thanks for being such a great mentor in the blogosphere. I thought your them was one of the more original ones out there. Very cool thing that you did to showcase your blogging buddies like that. So interesting to read your reflections. It was a busy A-Z (from someone who wasn't participating), but I was trying to visit as many of my blogging friends' posts as I could. Lots of different themes and great reading. I checked out that cover site- that is a scary place to have a book end up. Aw man, I was excited for Spiderman after seeing the amazing first one! I love the two main characters. Sigh. I think I'll wait for rental, then. Thanks! Lots of really good books coming out this spring and summer. Best wishes to all. I'll probably wait for the Spidey reboot to come out on video as it's so hard to get out and watch a guy movie. Still looking forward to Godzilla later this month! I thought your A-Z challenge was awesome. I hated that I was unable to follow it better; it was a crazy month. I thoroughly enjoyed each post I read. 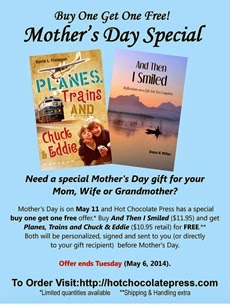 Lots going on--Happy Blitz Day! But is there a way to make sure I've gotten everyone? That is, does Google let you see if you're following all your followers back?